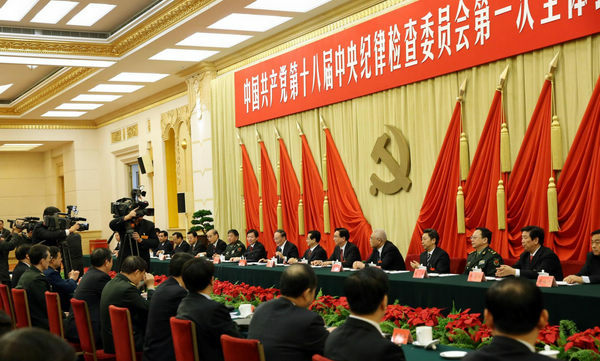 BEIJING - Foreign officials, experts and media have spoken positively of China's achievements in the past 10 years, saying its rapid development has made significant contributions to the world economy. 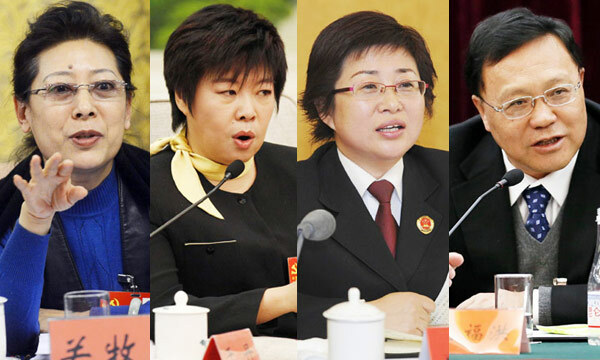 They were commenting on the 18th National Congress of the Communist Party of China (CPC), which opened here Thursday. Sergei Koshevoi, executive director of the Ukraine-China Cooperation Association, told Xinhua China had tremendous achievements on the road of prosperity and opening-up in the past 10 years under CPC leadership. 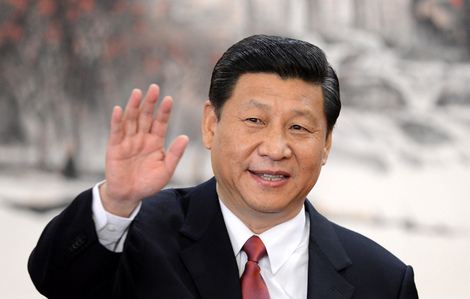 China had established a socialist market economy and China's achievements in economic development had drawn worldwide attention and compliments, he said, adding China's reform and opening-up policy, beyond doubt, had boosted rapid economic growth and made great contributions to world economic development. 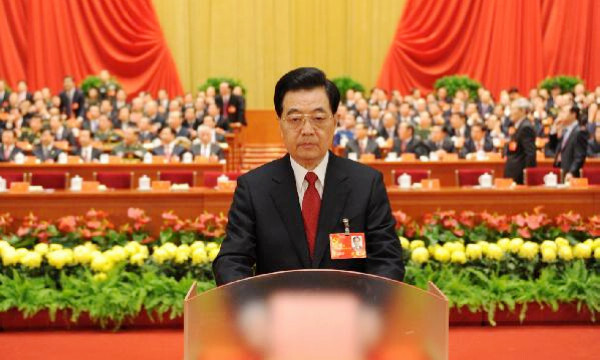 The 18th CPC congress was of special significance as decisions to be made at the congress would not only influence China's future development, but also the world's future to a large extent, he said. Boni Yaw Gerbe, an international relations expert at the University of Ghana's Legon Center for International and Diplomatic Affairs, told Xinhua in a telephone interview China had great achievements, especially in the field of economic cooperation with other countries, which had benefited the world. He expected China to play a bigger role in the international political arena and become a major force in maintaining world peace. Danish Foreign Minister Villy Sovndal said in an interview with Danish national TV he estimated China's economy would continue to maintain its current growth path. China would be an engine for global economic growth, he said, adding Denmark would like to work with China to promote bilateral economic development. Elizabeth Economy, director for Asia studies at the Council on Foreign Relations, told Xinhua China had made huge achievements in its development in recent years. Since it adopted the reform and opening-up policy more than 30 years ago, China had become one of the important engines for global economic growth through developing manufacturing and foreign trade, she said, noting China played a key role in world development. With its rapid economic growth, China's economic, social and institutional structures had undergone profound changes, which now put it in a new historical development period, she said. Henning Kristoffersen, a China expert in Norway, told VG Nett China had changed a lot over the past few years. Before the turn of the millennium, China was regarded as a great but poor country the outside world cared much less about, Kristoffersen said, but China was now the world's fastest growing economy and had passed Japan to become the world's second largest economy in 2011. China's future economic growth would be characterized more by innovation and brand creation, Kristoffersen said. Ruslan Izimov, a research fellow at the Kazakhstan Institute for Strategic Studies, said China chose the path of reform and opening up, and building socialism with Chinese characteristics 30 years ago. China had played an ever bigger role in the world economy and politics in the past scores of years, he said, noting China had emerged as the world's second largest economy after the United States, achieving fast growing foreign exchange reserves and overseas investment. The CPC played an immeasurable part in scoring these achievements, Izimov said. Eugenio Anguiano Roch, professor at a Mexican economic teaching and research center, said the Chinese leadership had always made turning China into an advanced, strong and prosperous state as its goal, noting China had successfully lifted thousands of millions of people out of poverty since it adopted its reform and opening up policy 30 years ago. This was a remarkable achievement and proved, in a way, the CPC's governance was right and scientific, Roch said. Chairperson of the Zimbabwe African National Union-Patriotic Front (Zanu-PF) Simon Khaya Moyo said that the CPC has made great achievements in leading the Chinese people to carry forward reform and opening up and build socialism with Chinese characteristics. He believed the new leadership would lead its people to score more outstanding results in the fields of politics, the economy, social construction and culture. The Russian Itar-Tass news agency posted a commentary saying China owned the world's longest high-speed rail network and largest automotive manufacturing industry, and its per capita GDP had increased to 5,400 U.S. dollars from 1,000 dollars in 2002 when China was the world's 6th biggest economy. 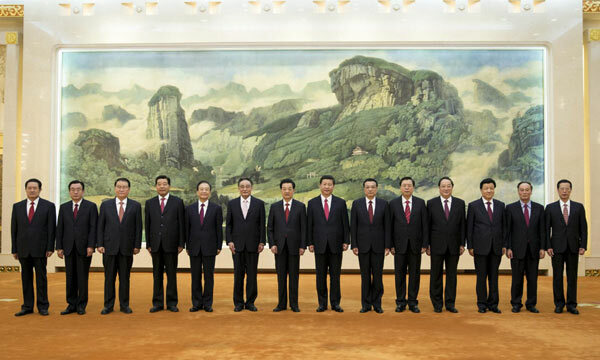 China had realized far more economic achievements than those listed above, the commentary said. Japan's Mainichi Shimbun newspaper reported China's economy had been growing rapidly since 2012 and its total GDP passed that of Japan in 2010, making China the world's second largest economy. 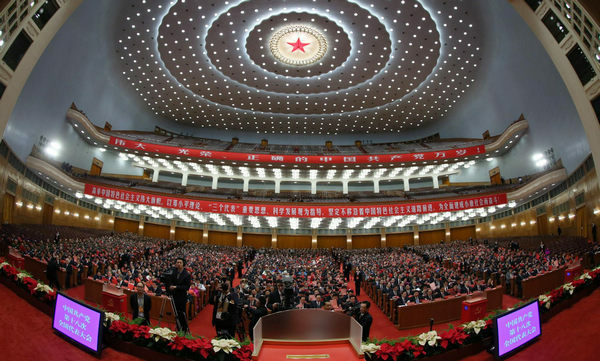 Other achievements, it said, included hosting international events, such as the Beijing Olympics in 2008 and the Shanghai Expo in 2010, ridding itself of the global financial crisis at an early stage and achieving a leap in influence in the world arena. The Sin Chew Daily of Singapore published an editorial in September saying China had become the focus of world attention from an emerging power, making eye-catching achievements in various areas. The editorial said China comprised 20 percent of the world economy. Les Depeches de Brazzaville, the largest newspaper of the Republic of Congo, reported it was no longer possible to ignore the Chinese model, which required "marching forward steadily with patience, not hiding intentions, never provoking a dispute and never imposing its point of view on others." Philippine World Journal in an editorial said China had made outstanding achievements in the past 10 years under the leadership of Secretary General Hu Jintao. 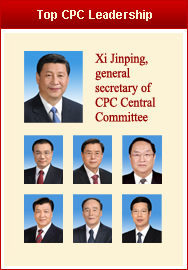 The CPC had accumulated effective governing strategies in years of development and had the ability to rule and solve problems in complicated situations.